Phospholipases A2 (PLA2s) EC 3.1.1.4 are enzymes that cleaves fatty acid in position two of phospholipids, hydrolyzing the bond between the second fatty acid “tail” and the glycerol molecule. Varespladib Sodium is an intravenously administered inhibitor of secretory phospholipase A2 (sPLA2) with orphan drug designation. GSK2814338 activity, processes for their preparation, to compositions containing them and to their use in the treatment of diseases associated with the activity of Lp-PLA2, for example atherosclerosis, Alzheimer's disease. Dodecylphosphocholine is a detergent. Dodecylphosphocholine is also a substrate-type inhibitor of pancreas phospholipase A2 (PLA2). U-73343 is a negative control (or inactive analogue) of U73122, which is a putative phospholipase C inhibitor. 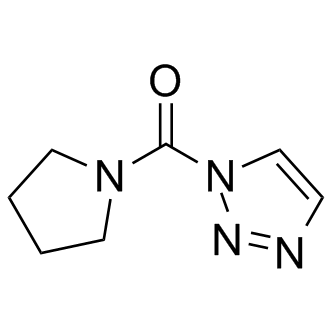 VU-0155069 is a potent and selective phospholipase D1 (PLD1) inhibitor. SPK-601(LMV-601) is a potent phosphatidylcholine-specific phospholipase C (PC-PLC) inhibitor; SPK-601 is useful antimicrobial agent. AA26-9 is a potent and broad spectrum serine hydrolase inhibitor. Tanshinone I is an inhibitor of type IIA human recombinant sPLA2 (IC50=11 μM) and rabbit recombinant cPLA2 (IC50=82 μM). 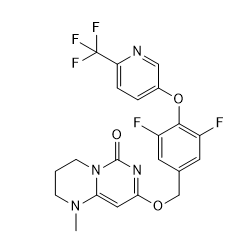 ML348 is a reversible LYPLA1 inhibitor with an IC50 value of 210 nM.